Cheap roundtrip tickets Geneva to Manila, Philippines from €313! Another good direct solution from Europe to China on 5* Hainan Airlines this time cheap non-stop flights from the UK (Edinburgh, Manchester) to Beijing available from £374 for a roundtrip incl. all taxes, meals and checked-in luggage max 23kg. Want to experience service of this 5-star carrier (ranked by SkyTrax) do not miss this Hainan discount offer..There is good availability from Edinburgh but only few travel dates at the lowest fare when departing from Manchester..
5* Hainan Airlines promotion from the UK to Beijing is available mainly from January to March 2019. You will find some good deals from Edinburgh in May as well. Max stay 1 months. Book this discount by 8th of December or until sold out. Below our booking as well as few travel date sampels. 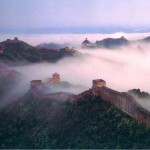 Booking sample of cheap non-stop flights from the UK to Beijing, China from £374 return! In this case you would be departing from Edinburgh to China on 24th of February. Inbound flight from Asia back to the United Kingdom then on 12th of March 2019.